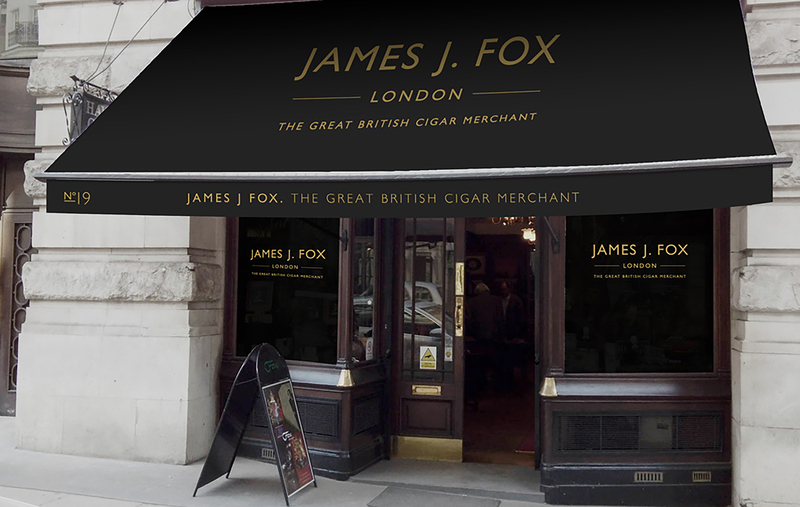 Established in 1787, and awarded no less than eight Royal Warrants throughout the glory years of England’s history and Empire, James J Fox is the oldest cigar merchant in the world, with a rich history of clients that includes Sir Winston Churchill and Oscar Wilde. 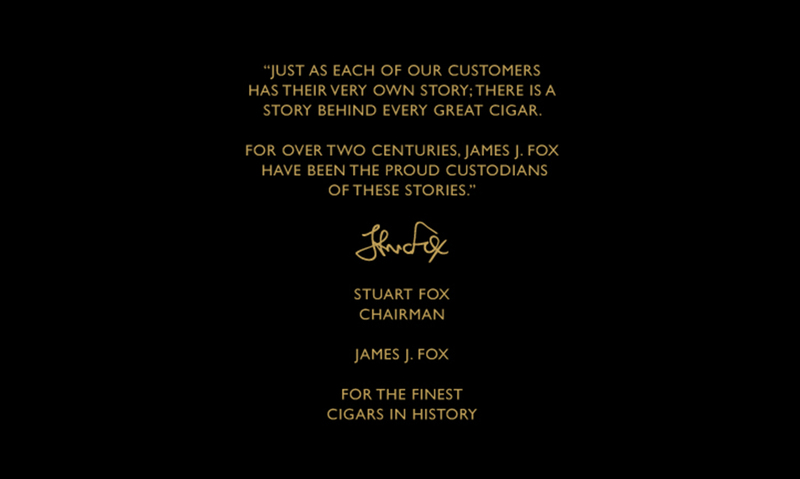 The Underscore brand story of 'James J Fox the Great British Cigar Merchant' reflects their consistency of quality, communicated with a personality that could only be British. 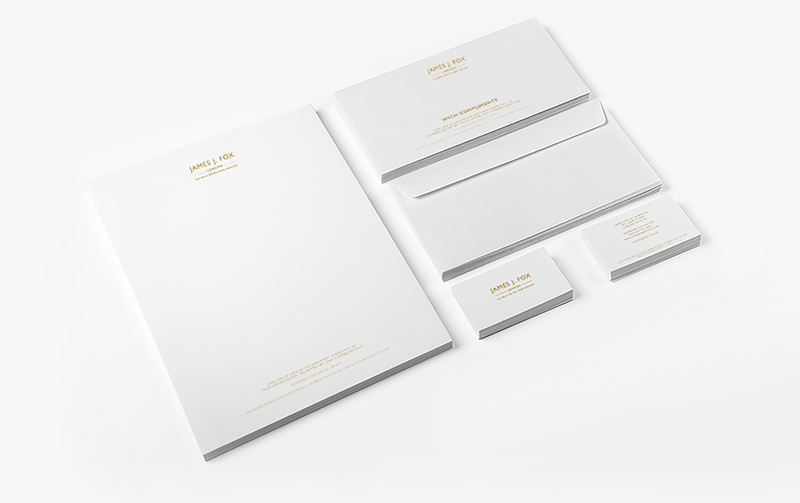 With a contemporary classic feel that contrasts with rich and evocative brand imagery, our branding is already becoming established in their London flagship store as well as their concessions within Harrods and Selfridges. 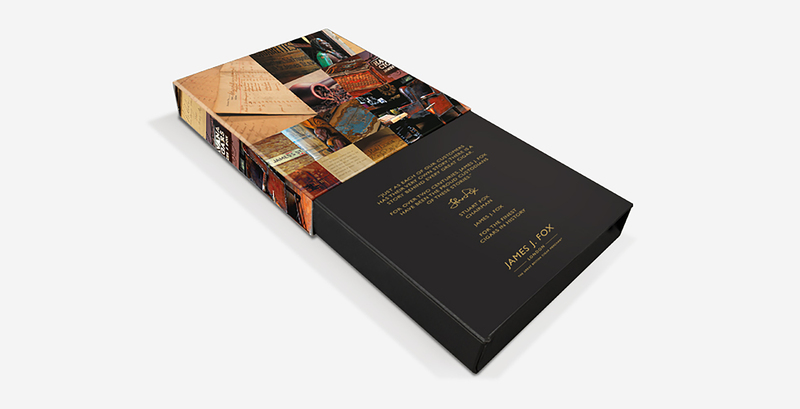 The brand is increasing its appeal for a growing international audience, and we hope that future customers will form a ‘society’ of modern day ladies and gentlemen that know that only James J Fox provides the taste of history. 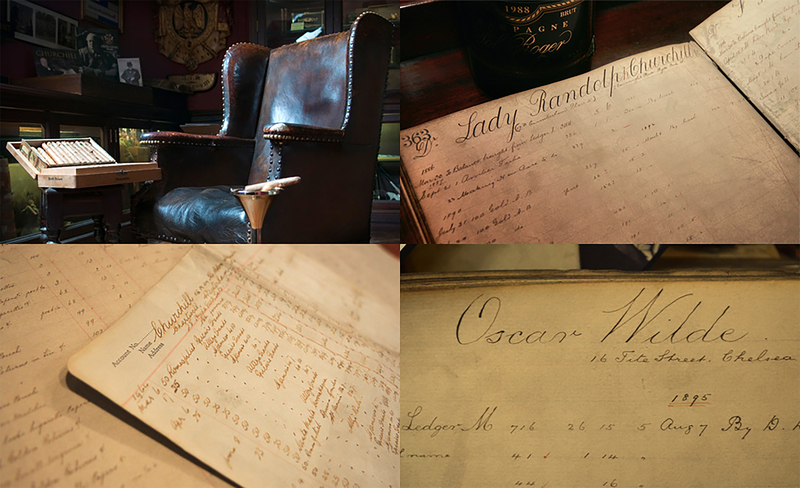 Have a cigar.